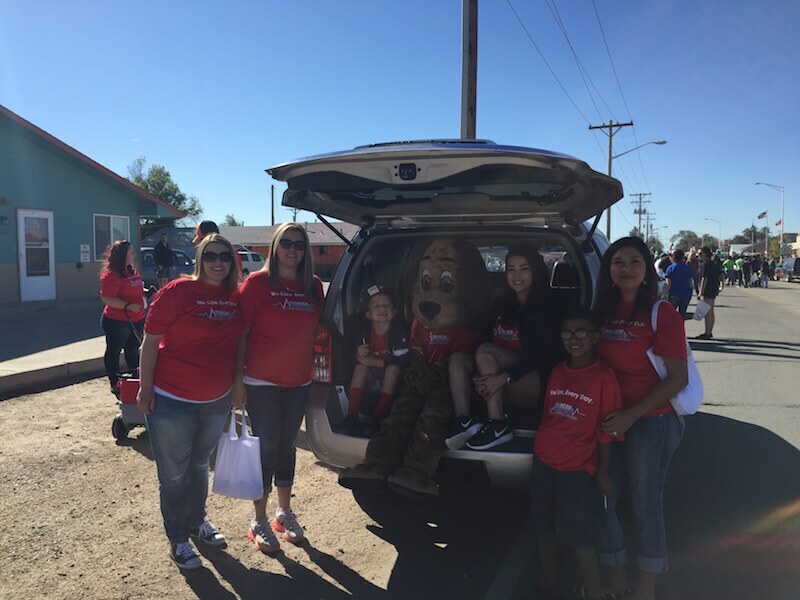 On Saturday, September 10th, we participated in the Fort Lupton Trapper Days Parade and Festival. 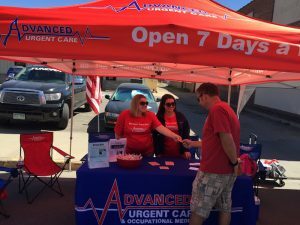 The annual event, which was celebrating its 40th year, is always a town favorite! Howie made an appearance in the parade, while our staff enjoyed visiting with residents at the festival afterward. 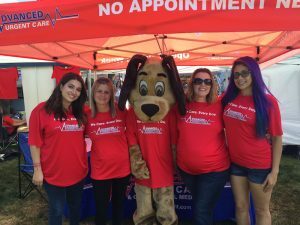 On Saturday, September 17th, we participated for the first time in the Broomfield Days event at Midway Park in Broomfield. The weather was perfect and estimated attendance was around 25,000. Our staff enjoyed talking with area residents about our services, while Howie entertained the children. Students, local groups and businesses passed out more than 5,000 pounds of candy at Northglenn High School for their Safe Street Halloween. The event included a Haunted Gym, the Arachnophobia Corner and cookie decorating. 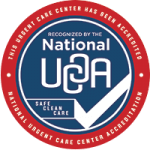 Advanced Urgent Care & Occupational Medicine staff had a blast!